Here is a film that makes no sense whatsoever yet is fun and interesting to watch. Seven weeks to the day after the death of her husband, a grieving widow brings a group of friends and family together to honor his memory. This gathering, however, becomes something else altogether. This is one of those films that has the viewer scratching his head and thinking,"WTF"! I read that was homage to the Giallo films of Italy and the Luis Bunuel films of Spain. Giallo films are noted as full of blood and crime and these were popular in Italy in the 70s. Bunuel films are built on a single ridiculous premise which is turned into masterpieces. In other words this film combines gore and suspense with surrealism. The ambition is but it did not work. When the film begins we see Alicia (Lola Berthet) and Jorge (Gabriel Goity) walking down a garden path which leads them to their country home. Then one night Alicia wakens from a terrible dream and finds Jorge lying in bed bleeding from his face and next to her even though in the dream he killed himself. He dies but he leaves instructions for Alicia and these include his last wish. Jorge had been having premonitions about his death but she did not take them seriously. In the note, Jorge told Alicia to get the people who he loved together and spend an evening speaking about him. The evening begins with a reading of the letter during which Alicia tells each person what they meant to her husband. The evening quickly changes from memory to horror. Strange things happen outside the house and the characters and the audience then realize that it is going to be a long and strange night. Here is where we get the idea that the movie is based on Bunuel. It is both character and dialogue driven but we really do not get to know the characters. In the letter we hear of intimate relationships between Jorge and the characters present. Some cry, some are angered and we wonder who these people are. I do not think we would care who they are even if we knew. 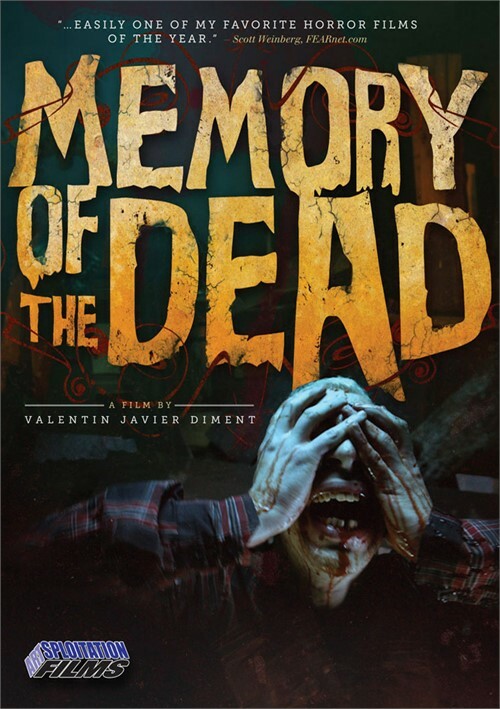 Director Valentin Javier Diment combines comedy and gore. The letter also has a little fact that I did not mention. It says that Jorge plans to return from the dead via a ritual in which everyone in the home will be visited by ghosts from their past. Told they will be safe as long as they remain inside the house the group abides by Jorge and Alicia's wishes hoping to see their friend again. What they cannot know is they are about to be sacrificed as part of an arcane magic ceremony designed to betray each of them. The film starts out on a surprisingly effective and serious note. By the time Jorge has passed away and everyone has come to his house to hear the reading of the letter the characters have been introduced, relationships established and considerable empathy generated for all concerned. But then one of the guests sees the ghost of a long dead relative outside and rushes to meet him and the seriousness of the film is forgotten and we watch a parade of special effects. The screenplay, which keeps the characters confronted with a variety of personal sins and anxieties, gives a solid framework to an equally solid cast in making important moments seem heartfelt. If anything the humor makes some of the films darker observations easier to digest. The film ends on a hard twist that it absolutely earns but by then has lost a little of the dramatic power it gained from its setup making the highly energetic project seem a bit of a cinematic curiosity rather than full fledged minor gem. Despite numerous parts that feel as if they were borrowed from earlier horror films, Diment still manages to give us a unique story wedged into the mayhem, and the flick is energetic and unpredictable.